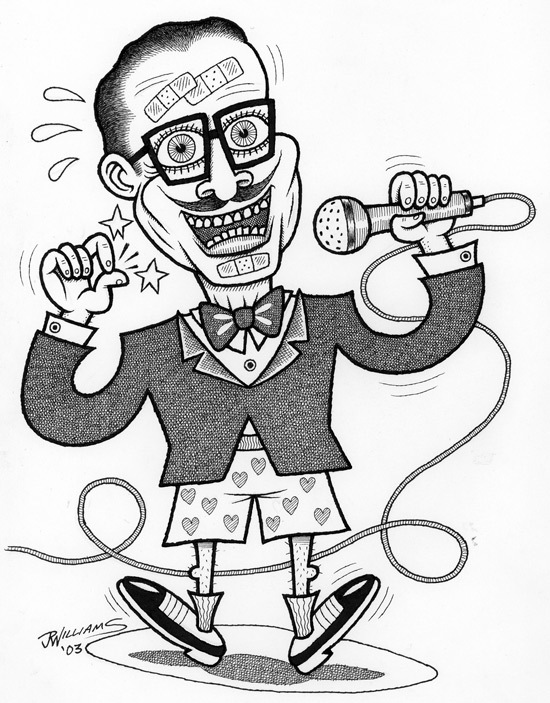 Illustration of singer/songwriter Fred Lane (minus his "Hittite Hot-Shots") for COOL & STRANGE MUSIC! magazine. Ink & blue pencil on 8 1/4" x 11" paper.